Historic home includes a charming guest cottage with a bedroom, bath, kitchen and living area. 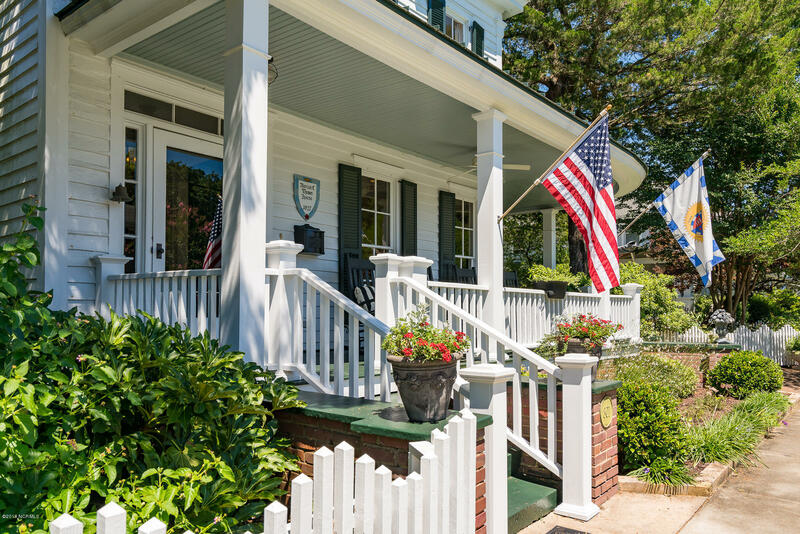 Situated on a double lot just steps from the restaurants and shops of Front Street, this plaqued historic home features large, light-filled rooms and thoughtful upgrades throughout, 801 Ann combines the best of old Beaufort and modern comforts. The master suite features two walk-in closets and overlooks a private side yard with a brick patio and pathway leading to a hidden rear garden. The chef's kitchen includes an eat-in bar and a spacious breakfast nook surrounded by windows. A first floor suite includes direct access to the fenced yard, garden and outdoor shower.